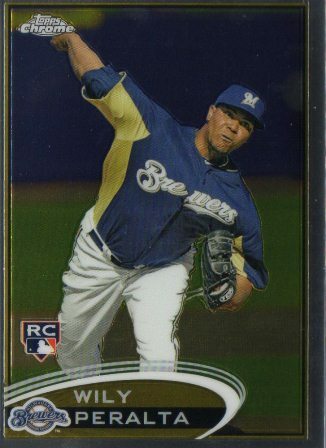 Any baseball card I can't get signed in-person or even through the mail are redundant for me - but I impulsively rescued these cards out of the quarter boxes at the card shop I frequent. 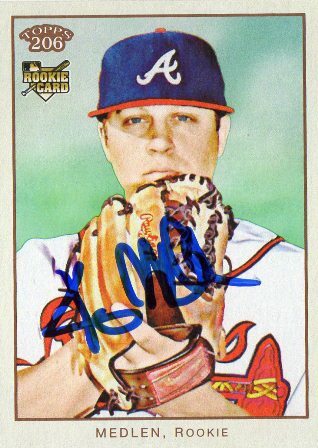 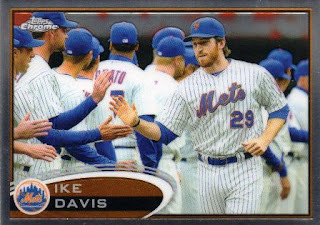 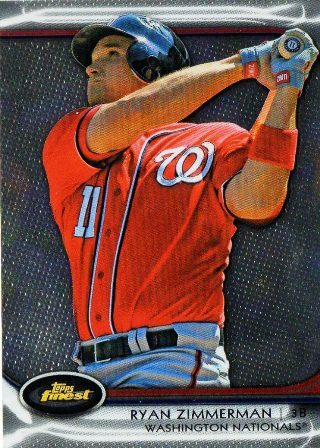 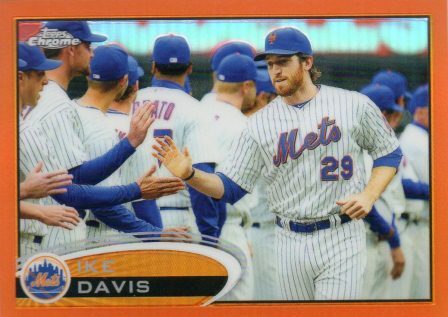 The 2012 Topps Finest cards were fairly new, shiny and features variety of all-star caliber talent - they make nice fillers for a baseball card collection I don't particularly pay much attention to at the moment. 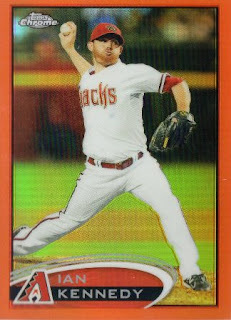 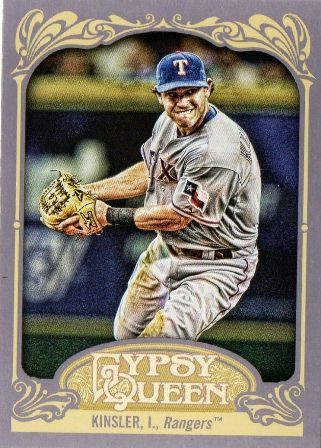 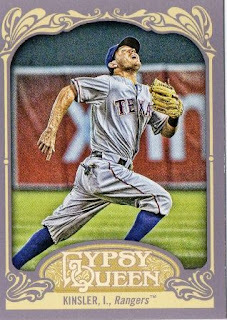 2012 Topps Gypsy Queen Ian Kinsler #145 - making the throw is the SP variation. 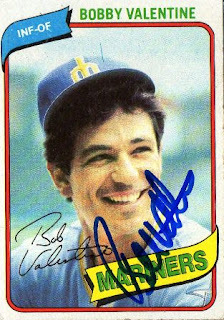 I got embattled Boston Red Sox manager Bobby Valentine to sign two of my cards when the Boston Red Sox played the Angels at Angel Stadium a couple of weeks ago - he hasn't done himself any favors with his seemingly contrarian and abrasive demeanor but he's been turned into a scapegoat by the Boston Red Sox players, the media, the fans and maybe the people who hired him. 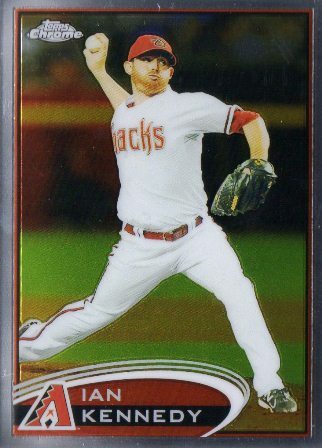 2012 Topps Chrome Value Pack [$9.49 each a Target] - not that I don't spend money on a blaster box or value pack, but I try to stay away from any retail much of the time I go into a Target or Walmart. 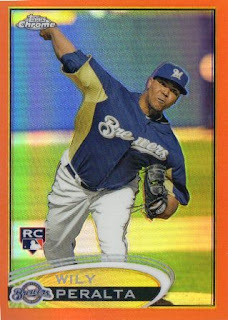 The worst part of this break was pulling three scrubs out of the pack of orange refractors - only to pull regular Chrome cards of the three same scubs.